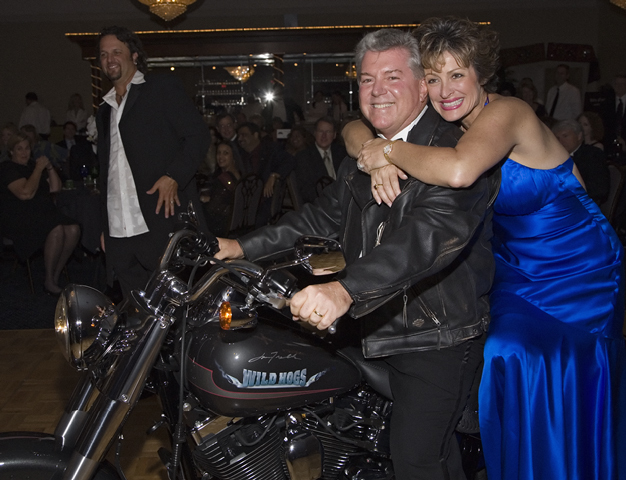 Barry and Amanda Stem are the proud new owners of the Wild Hogs Motorcycle that was signed by John Travolta at the Wild Hogs Premiere. The premiere was held in Ocala, Florida on March 2, 2007. The motorcycle was auctioned off as part of a benefit that will support the Marion Theatre renovation project and the Ocala Film Commission. The Stems paid $70,000 for the motorcycle.